Carolyn discovered yoga in college. Years later, while working in Afghanistan, she began to rely on yoga as a tool for managing stress and emotions, eventually inspiring her to share yoga with others. She believes in the power of yoga to transform. Carolyn completed her 200-hour yoga teacher training with Faith Hunter in 2011. 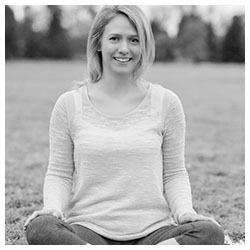 She has taught vinyasa, restorative, and yin in Washington DC, Austin, and Denver.